As small business owners, we have been long-time clients of Ian Ritchie since he first began his own business nearly 18 years ago. He has remained our financial adviser over those years even when he merged with other financial advisory businesses in Tasmania. 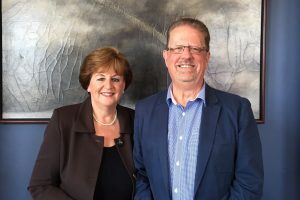 Ian has been our principal adviser and when Erin Gourlay joined Ian, both have proven to be a formidable team in providing us professional, accurate and easy-to-understand advice about our investments for the long term. We appreciate their strategic approach and honest opinion, and their guidance has ensured we are well set up for our future. We have regular meetings with Ian and Erin to determine how our investments are travelling and to ensure that we are maximising the return on those investments. Ian and Erin are a small but very committed team and we have had no hesitation in the past and will do so in the future, in recommending their expertise to others.